Welcome to Our Lady of the Cape’s Religious Education Program. 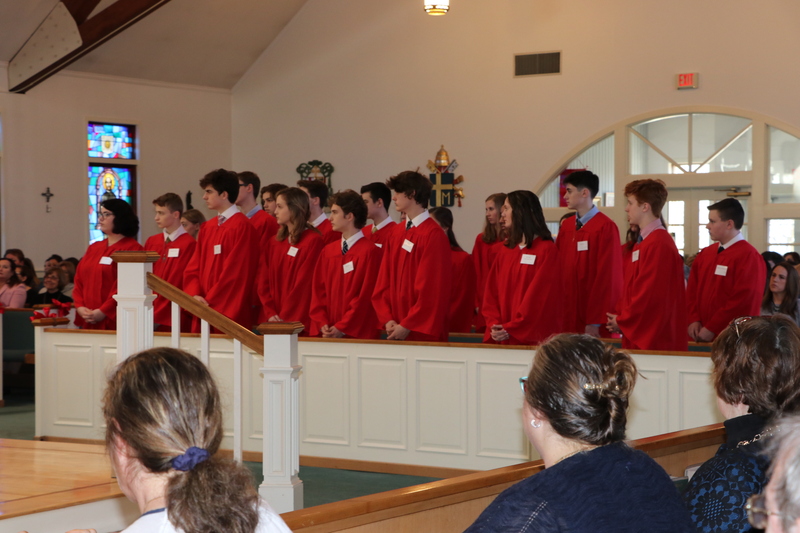 The Mission of the Religious Education Program of Our Lady of the Cape Parish is to assist parents in the religious, moral, and spiritual formation of their children. Parents are the primary educators of their children, teaching by word and example. Our parish catechists support the parents and students by providing quality religious education in a nurturing, faith-filled environment. 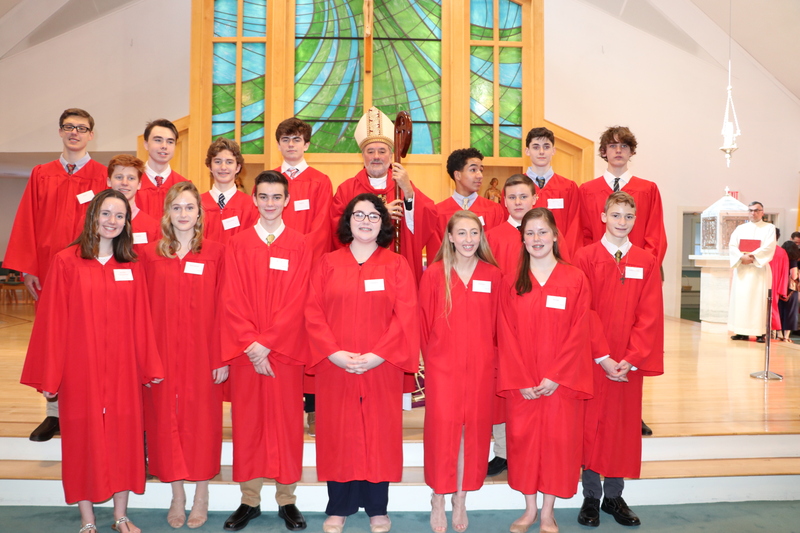 CONGRATULATIONS TO OUR NEWLY CONFIRMED ! Faith on Fire is a program for families to attend to together. The purpose of Faith on Fire is to supplement our religious education program with the opportunity for parents and children to learn about and share their faith together. We hope to equip parents with the information and tools they need in their role as the primary teachers of faith to their children. While doing this we hope to provide the opportunity for fellowship and enhance family involvement in their parish community. Faith on Fire meets 6 times per year with the first session kicking off the religious education year. 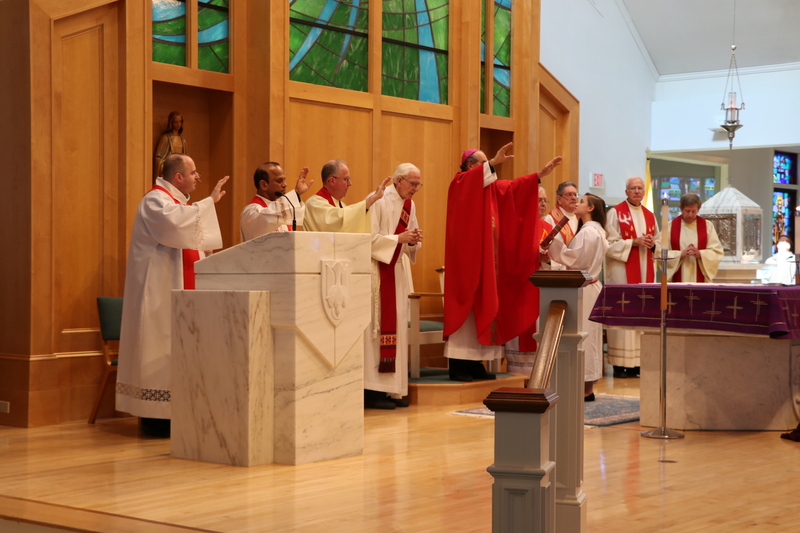 The sessions meet immediately following the 8:30 Mass and end at 11AM. There are no regular Sunday classes on the weeks there is Faith on Fire. 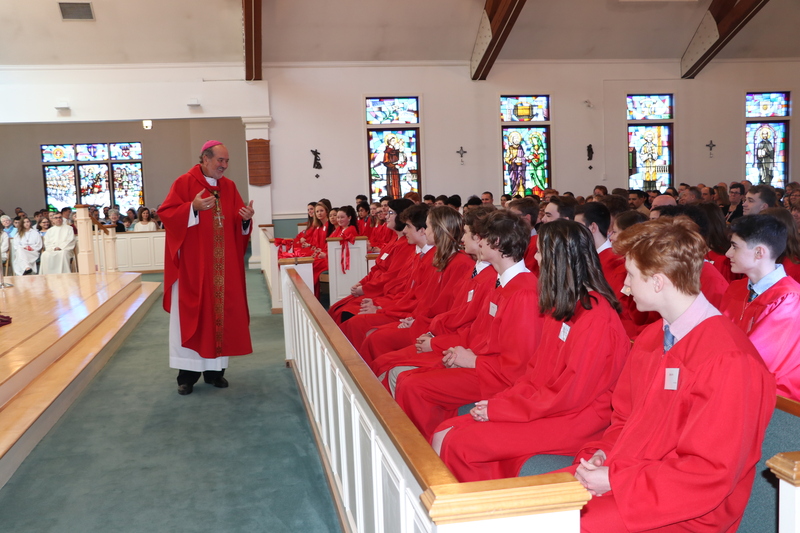 April 28th: The 8:30 Mass will be a teaching Mass given by Fr. John. Followed by a pancake breakfast by our youth and our year end Faith on Fire Celebration. We offer home schooling for grades 1,3,4,5,6,7,8. Our home school program follows our regular class curriculum. Grades 1,3,4,5: Parents pick up packets of materials regularly throughout the year to work on weekly at home. Pre-k thru 1st grade is offered during the 8:30 Mass on Sunday mornings. Parents and children to to Mass together. After the opening prayers Children are called up and sent forth for the Children’s liturgy of the word held in the lower level of the Church. Children then rejoin their parents about the time of the presentation of the gifts at the beginning of the liturgy of the word portion of the Mass. First Reconciliation and First Communion are in the 2nd Grade. Children must have attended religious education in the 1st grade prior to entering the 2nd grade first communion class. This program provides flexibility for families with busy schedules and allows for children to choose topics they are interested in. The core courses incorporate projects and experiential learning, making it interesting and relevant for the children. The core courses consist of 5 1.5 hour sessions. The core courses are offered in the Fall, Winter and Spring terms. Each elective meets once or twice depending on the elective. Elective topics vary so students can choose what interests them most. Categories of topics are: Teaching, Community, Service/Social Justice, Prayer/Worship. Some electives will have the option for parents and children to attend together. We confirm our candidates in the 10th grade. Our 2-year program begins in the 9th grade. Confirmation I sessions are 1.5 hours long and are offered on Sunday mornings and Monday evenings beginning in November and ending late April. There is a 1-day retreat included in the program and a community service project. The first & third Sunday of the month children meet at Wingate Nursing home to minister to the residents. See youth ministry page for more information. See more information on youth ministry page. Kids get together to learn about poverty in our area and how they can make a difference. Kids decide on service projects they will do at the meeting. Kids can take this multiple times. Purpose: To bring together youth and adults from different faith communities to explore the issue of homelessness on Cape Cod and to help them develop a passion for living out the message of the Gospel. Cost $30 per peson & breakfast food. Volunteer 3+ hours at our Ragnar Race Relay Station. This is a big fundraiser for us. Proceeds help funds our Mission trips & Community outreach programs. More information about time and place to come.